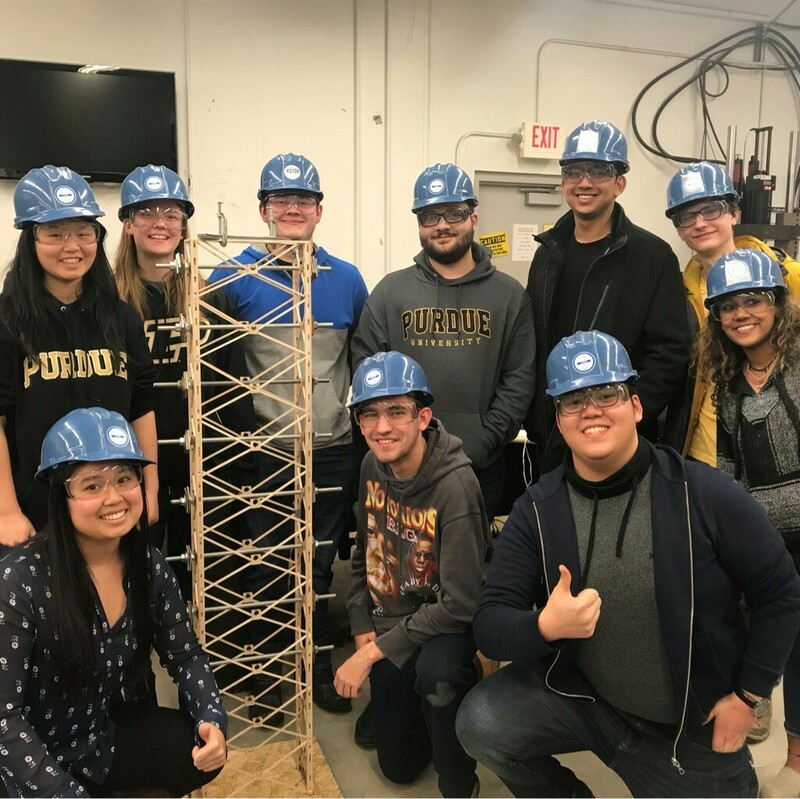 While not officially having any relationship with the National ASCE Body, the Purdue Seismic Design Competition Team has found a home with our ASCE Chapter. The Undergraduate Seismic Design Competition is hosted annually by EERI (Earthquake Engineering Research Institute) and invites student teams to their annual competition based on a design proposal submitted by each team. Upon receiving an invitation the team then constructs their seismic tower as outlined in the design proposal, ultimately subjecting it to a series of earthquakes on a shake-table which are modeled after real-world seismic events. Our Chapter's team has been invited to five of the six annual competitions since 2011. This competition affords our members the opportunity to learn about the concepts associated with the seismic design of structures, something that undergraduate students rarely are exposed to.